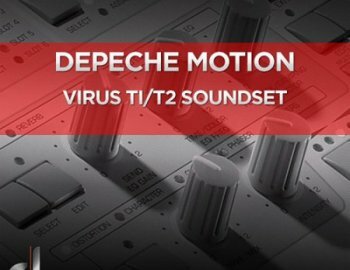 DUSTONS.COM presents “Depeche Motion Virus Ti2 / Ti SoundSet“, a special tribute to Depeche Mode dedicated to the 55th anniversary of Dave Gahan. We present to you a stunning collection of 128 presets / patches for Access Virus Ti / Ti2 synth, packed full of analogue basses, vintage synth chords, poly leads, beautiful pads & arps, warm plucks, FX’s and so much more. All presets categorized by type for easy searching. «Depeche Motion» delivers authentic synthy inspiration! Genres: Electronic, Pop, RetroWave, Rock, SynthPop, SynthWave and more. All content is 100% royalty free.